Windows are an essential aspect of every home and business. Clean windows can provide a whole host of different benefits, some of which you may have not even thought of before. If you’re on the market for professional window cleaning in Oakville, be sure to call us for high-quality service. Our services take the hassle out of window cleaning – our workers are professional, experienced, and our customer service is second to none. Clean windows have numerous benefits, as do professional window cleaning companies. 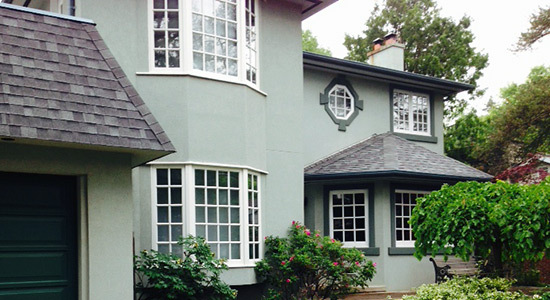 When it comes to window cleaning in Oakville, some of the advantages are easy to point out. When you go with professionals, you can spend more time doing the things you want, rather than cleaning windows. Whether it’s a residence or a business, clean windows are an attractive quality to have in a building. For businesses, clean windows mean more people will feel confident coming in. For residences, having clean windows makes the whole home more inviting and appealing, which can help your home sell faster or simply be more welcoming for a big event. Our window cleaners are trained professionals, with the experience and tools necessary to make sure your windows look like new again. Whether it’s commercial or residential service you are look for, we can help. Besides being time consuming and complicated, window cleaning can also be very dangerous. The combination of heights and frequent moving around makes it one of the more dangerous tasks that needs done on a regular basis. NICK’S Window Cleaning use professional, well-trained, and well-equipped Oakville window cleaners. This not only keeps you safe, but ensures all of our window cleaning services are done safely and properly. Clean windows do one thing better than anything else in the world: provide safe and beautiful natural light. Unclean windows, however, provide a noticeably different kind of light that is far less appealing. That is why regular and professional window cleaning services are important: they keep your interior looking better by providing the cleanest and clearest windows possible. If you want the inside of your building to look as good as its outside, you’ll need top quality window cleaners. Like everything else in the world, windows last longer when they are properly maintained. With professional window cleaning services like NICK’S Window Cleaning, you’ll be able to keep your windows in their best condition possible. Our workers are able to spot any problems and explain the necessary work to fix them before they become a large issue. With regular window maintenance services, you can expect your windows to stay at their best for much longer, especially compared to infrequently or improperly cleaned windows. Working up to a maximum height of 3 storeys, NICK’S Window Cleaning provides full interior and exterior window cleaning services for all commercial and residential properties within the Oakville region. Our team is highly-trained, friendly, and professional. Carrying full liability insurance you can rest assured during out cleaning services. Since we do both the inside and outside of your windows your property will look it’s best after we’ve finished the job. We also provide regularly scheduled services so your windows will look their best all year round. At NICK’S Window Cleaning, we strive to provide the best possible service you can find and believe in building strong relationships with our customers. We do this via providing great customer service and beautifully clean windows, contact us today to discover the difference our service makes. Clean windows will make your home look great again. Over time your house may have started to look a little dingy and dull. Instead of taking on a huge and expensive paint job try getting the windows professionally cleaned. It will brighten up your home and make it look brand new again. If you want your home to look great for summer parties or holiday parties getting the windows cleaned is a low cost way to give your home a face lift without doing any extensive or expensive renovation. Professional window cleaners do more than just clean your windows. They also inspect your windows, the window frame and the area around the window for damage. Catching any potential problems early on can save you a lot of money in the future. Chips and small cracks in the glass can be repaired before you have to replace an entire window. Window cleaners can also spot other potential problems like wood rot that can mean expensive repairs down the line. There could be damage to your windows from things you’ve never even though about like damage from screens or even damage from insects. Hiring a professional gets you clean windows and important information about the condition of your home. If you have health problems or if you just aren’t as spry as you used to be cleaning the windows yourself could end up causing you physical harm. It’s a physically demanding job to go up and down ladders, reach and stretch and try to clean windows on higher stories, and clean large windows on the ground floor. Professional window cleaners can safely and quickly clean those windows for you so that you can stay safely on the ground.